Pre-paid gift cards can be used in our touch-free automatic and self-service bays. 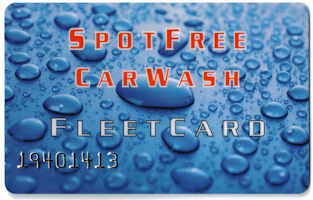 Spotfree's pre-paid gift cards are a convenient and economical way to keep your car shining all year round. To refill your card, please select the Dollar Amount to be added, location of your choice and enter your current card number. A clean car is a happy car! Give the gift of a clean car to a relative or friend with Spotfree's convenient refillable pre-paid car wash gift cards that can be used in our touch-free automatic and self-service bays. Please select Gift Card Dollar Amount and the location of your choice.